Adorable lobby, clean rooms, great breakfast bar, best chocolate chip cookies EVER, and the friendliest front desk ladies!!! Thanks for a great stay! One of the nicest hotels in Grants Pass. Beautiful renovated rooms, nice pool, friendly staff. This is a great place to stay. 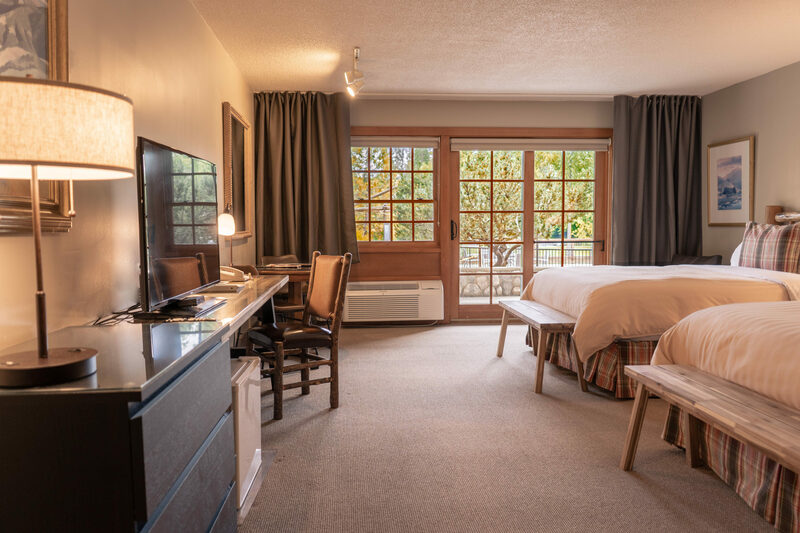 We enjoyed a spacious room with access and view of the Rogue River, a very comfy bed, late afternoon snacks and wine, evening cookies, and an easy walk into the old downtown with great restaurants and quaint shops. Outstanding hotel! Friendly, helpful staff with clean, luxurious rooms. 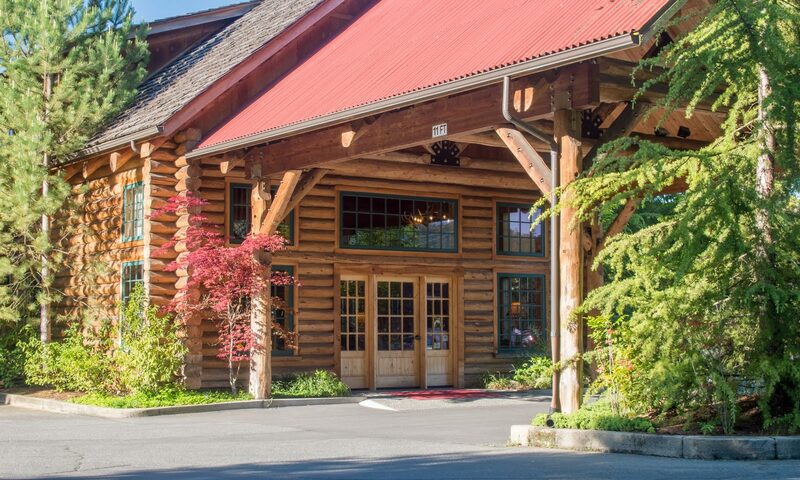 The rustic lodge office-hospitality area is wonderful, with a roaring fire burning in a beautiful stone fireplace, and wine/cheese happy hour.. Loved the location. the friendly service, the spacious room, and the afternoon wine and snacks. Really enjoyed this beautiful location. Room was the biggest we had on our west coast trip. Good restaurant within a few minutes walk of hotel, and the heated pool was a nice extra for us. We stayed here the nights before and after our whitewater rafting trip on the Rogue River. What an excellent way to pamper yourself after 3 days in the wilderness! Great view, staff & accommodations. Stayed here on our Kayaking tour of Oregon. 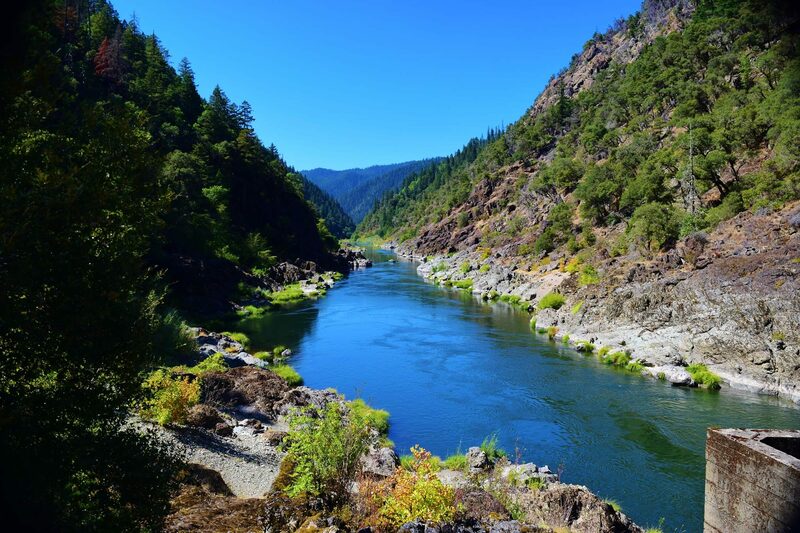 Perfect location between the Illinois, Rogue, Klamath and Smith Rivers. Incredible staff, great lodge atmosphere, great food! 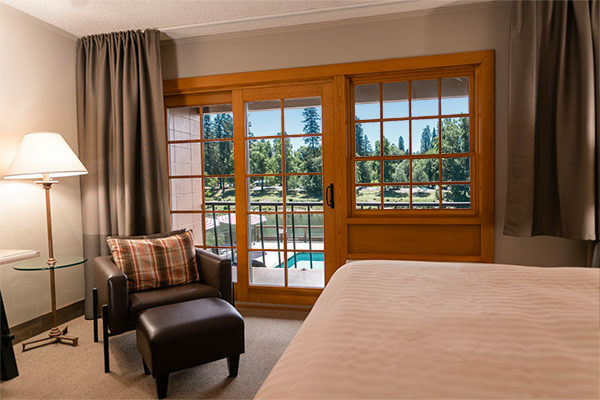 We offer 33 guest rooms and suites, most with private patios or balconies facing the Rogue River, for the finest hotel experience in Grants Pass – a gateway to Southern Oregon Wine Trails and Whitewater Rafting / Kayaking adventures. At this luxury hotel, all rooms feature Serta Presidential Pillow Top beds with down comforters, terrycloth bath robes and Aveda spa products. There is an evening wine & cheese reception, and night time cookies with milk. Of course you will also find standard hotel amenities like: irons and ironing boards, hairdryers, coffee makers, and refrigerators. We provide complimentary parking, wireless Internet, and flat-screen cable TVs with HBO. All rooms have independent heating and air conditioning. When only the best will do, this is the room for you. 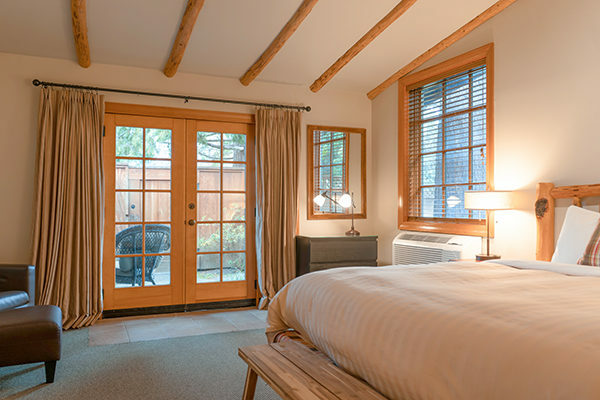 The master suite features a Jacuzzi bathtub, sitting room with fireplace and sweeping views of the Rogue River from the large, private balcony. These over-sized river-facing guest rooms offer stunning views from their patio or balcony. You’ll feel right at home with the generous space for all of your things. Two queen beds with plenty of space to spread out and get comfortable. These rooms also face the river with beautiful views from the patio or balcony. This stand-alone building offers the greatest privacy. Enter through the beautiful French doors on your private, gated patio, into a grand room with king Serta Presidential Pillow Top bed. The Junior King guest rooms have a river view from the patio or balcony. They are a bit smaller than the Deluxe guest rooms while still allowing plenty of space for your comfort. 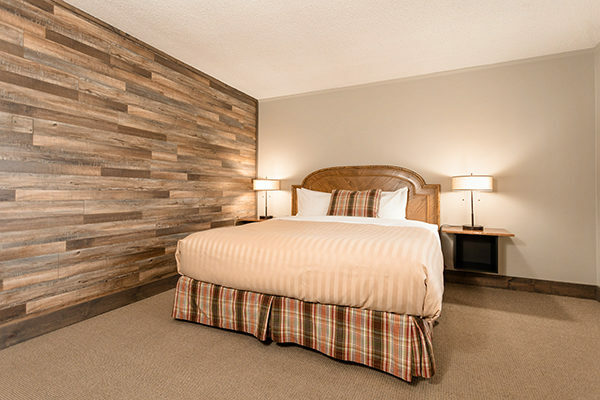 Our Standard King guest rooms are an economical alternative which does not face the river. 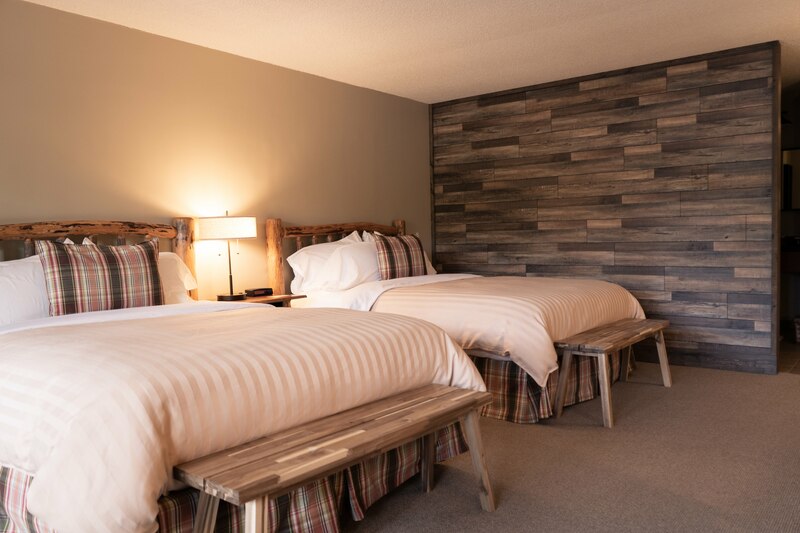 They offer the same plush bedding, Aveda spa products, and other amenities to make your stay an experience to remember. The Standard Two Queen guest rooms are a cost-effective option that does not have a patio or balcony overlooking the river. Otherwise, these guest rooms are appointed with the same quality amenities for an upscale experience. This guest room was designed around safety and accessibility. There is generous space for mobility equipment, and a bathroom fitted with safety features. 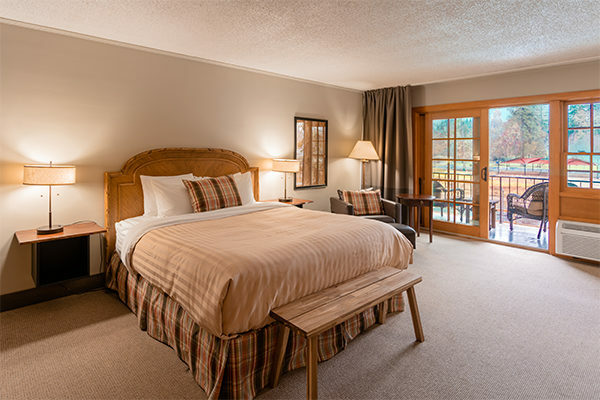 The room is furnished with two queen beds, is easily accessed from the parking lot, and does not face the river. Great place to stay clean comfortable and beautiful rooms. Staff is really great and friendly. Pool and hot tub outdoors are kept clean. Nice view of the river from many of the rooms. They do an evening wine tasting as well as milk and cookies. Complimentary breakfast with a good spread of quality food. I highly recommend staying here if you are in Grant’s Pass for a visit or for business! This is the best hotel I have ever stayed at. I only stay here when I need a hotel because it has everything you need and want. Soft beds, wonderful views from your room and nice bathroom and all the amenities that go with it. You get complimentary afternoon wine and cheese, evening milk and cookies and a full hot delicious breakfast. The staff are so polite and friendly and the hotel has a beautiful setting. We were in Grants Pass for a reunion and chose this place to stay. We chose a riverside room – WELL WORTH it! Such a beautiful setting! And, you can walk to a nearby excellent restaurant/bar. They have a very well stocked breakfast bar and the food is good! The wine/cheese afternoon is also a fun touch. We never made it down for the evening cookies and milk, but I’m sure they didn’t disappoint. The rooms are nicely appointed and the bed was comfortable. The staff if extremely friendly and accommodating. I highly recommend staying here. The Lodge at Riverside does not allow pets. If you are traveling with a service animal, please be sure to declare your animal at check-in to avoid incurring additional cleaning fees. 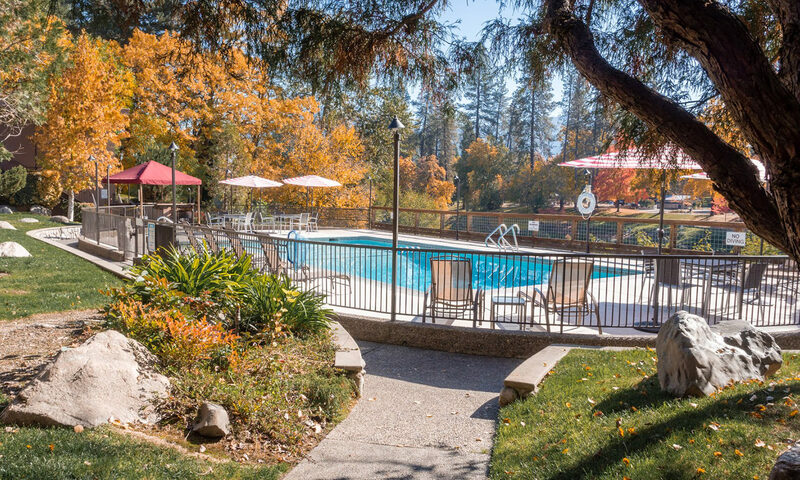 If you are traveling with a pet and are looking for accommodations, please visit our sister properties: Riverside Inn overlooking the Rogue River, or Best Western Inn at the Rogue. Upon check-in, we must have a valid credit card matching the name of the guest on file to authorize for the full amount of your stay. At check out, you may pay in cash and the authorization on the credit card will be released according to the cardholder policy (usually 1-3 business days). We do not accept a cash deposit for the stay at check-in. When your company or a third party is financially responsible for your stay, we will fax them a credit card authorization form to authorize the charges. 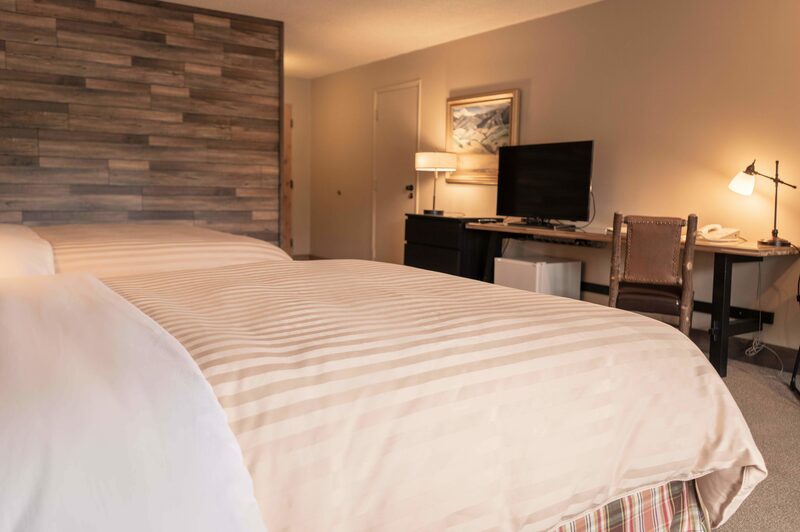 Our rooms feature Serta Presidential Pillow Top mattresses – the finest in the industry, wrapped in feather duvets. Every day we provide a full hot breakfast, afternoon wine & cheese reception, and evening cookies with milk. Aveda Spa Products has approved The Lodge at Riverside to provide our guests with their exclusive products. We offer free high-speed wireless internet and flat screen TVs with HDMI ports for your streaming device. 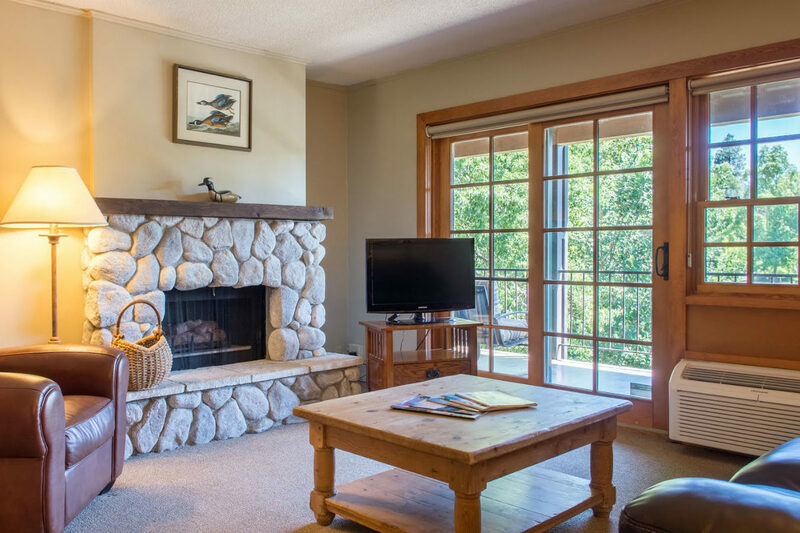 While frequently updated, the decor and furnishings maintain a river lodge ambiance. Our staff are chosen for their enthusiasm, professionalism and dedication to hospitality. the location can’t be beat! Just two miles off of I-5, in the heart of downtown Grants Pass, convenience is key to a great stay. 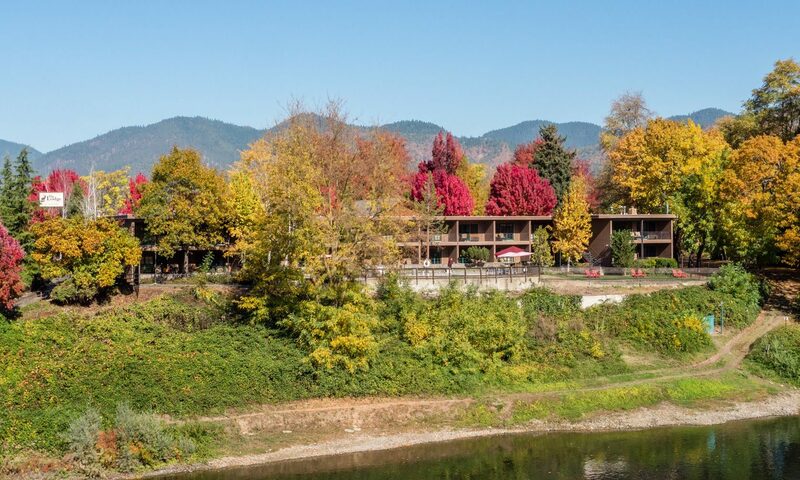 Our location is just steps away from Hellgate Jetboat Excursions and Tap Rock Northwest Grill, two premiere destinations for visitors of Grants Pass. You can find massage, acupuncture, and top-rated sushi without leaving the parking lot! We are close to downtown shopping, Historic G Street, and Riverside Park. For grand adventures, we are centrally located between the splendors of Crater Lake National Park and the Oregon Caves National Monument. 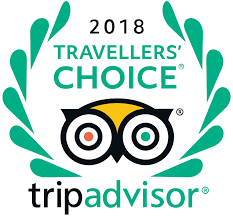 We offer more than an inn, we offer an experience! Our packages are tailored for each party to assure that our guests have the best experiences while visiting the Rogue Valley. For that special occasion or special interest, this package is a home run. 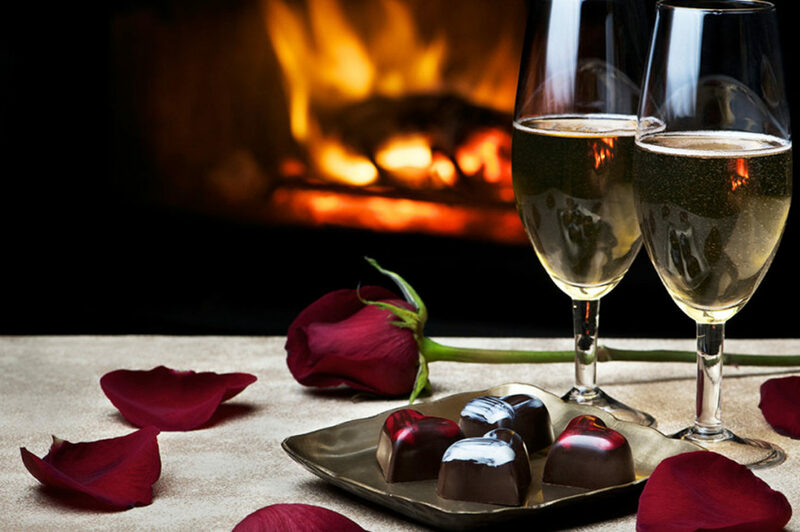 The package features fine dining, sparkling beverages, indulgent truffles, and discounted room rates. 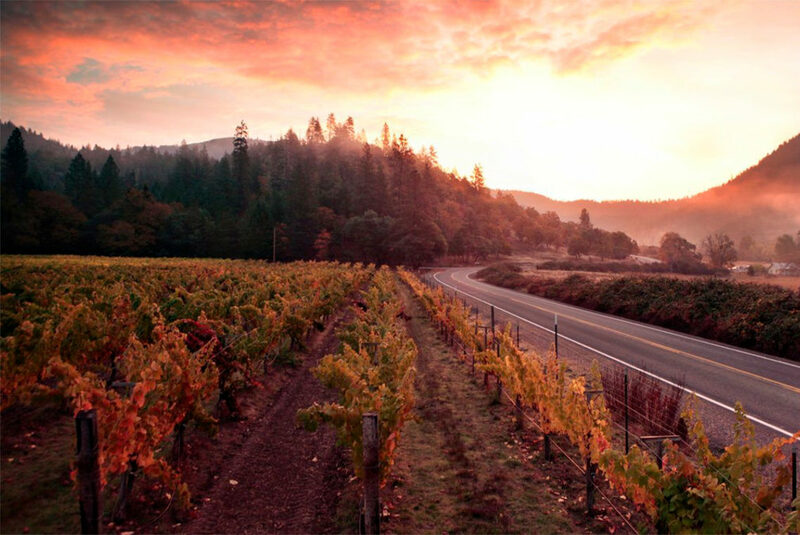 Spend a relaxing day exploring the tranquil and scenic countryside while touring Southern Oregon’s boutique wineries with the Discover Oregon Wine package. This self-driven package features tasting passes, commemorative wine glasses, case and room discounts. We have partnered with local guide services to ensure our guests have the best possible experiences on the Rogue River. Tell our staff what you are looking for in your water adventure and we will put you in touch with the best guide for the trip you desire. We welcome questions and inquiries about our Inn and the surrounding area. Feel welcome to drop us a line, and one of our front desk attendants will be happy to reply. The form below is an Inquiry form. If you would like to book a room right now, click or tap the “Book Now” button.